James "Jim" Harry Taylor, 75, of Buena Vista, died Sunday, June 3, 2018 peacefully in his home surrounded by family. He was born October 3, 1942 in Sutersville and was the son of the late James Howard and Martha Jane (Ellenberger) Taylor. 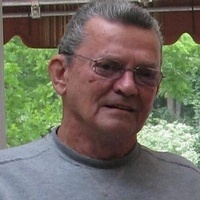 He was the husband of the late Carol Ann (Yocum) Taylor who died August 25, 2013. They were married for 46 years. Jim was retired from the former G.C. Murphy Co. Warehouse in Christy Park and was a former Constable in Elizabeth Township for 12 years. He was a member of Teamsters Local 249 where he served as shop steward and was a member of the 1973 negotiating committee. He was also a member of the former Industry Volunteer Fire Co. Jim was elected to serve 2 terms as Allegheny County Democratic Committeeman representing Elizabeth Township's 3rd Ward. He is survived by his sons, Daniel (Samantha) Taylor and Scott (Jill) Taylor of Elizabeth Township and Douglas Taylor of Laurel, MD, grandchildren, Jacqueline, Lauren, Nicholas, Jacob, Brooke, and Zachary, brothers, Grover (Faith) Taylor of Charleroi, and Fred (Kathy) Taylor of Elizabeth Township, sisters, Shirley (Bill) Slagy and Lydia Taylor of Elizabeth Township, nieces and nephews. "Robert Lamont Hill" || "Saundra Lee (Elder) W…"